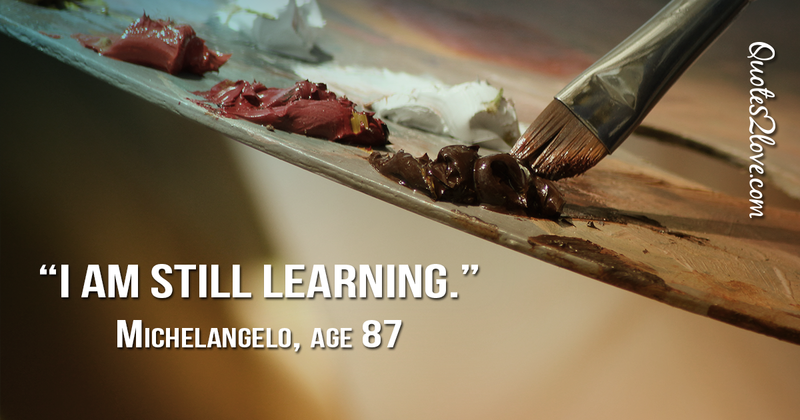 Michelangelo is one of the best artists of all time, but he also said some profound words that echoed through centuries and inspired generations of artists and readers. 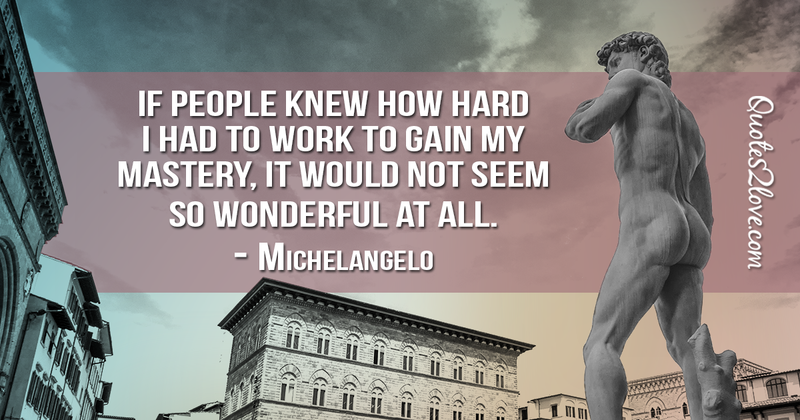 We collected 5 Michelangelo’s quotes where he talks about his art and what it means to be a genuine and brilliant artist. It’s not just about the talent – without the hard work, greatness can’t be achieved. During his lifetime Michelangelo Buonarroti (1475 – 1564) was often called Il Divino (“the Divine One”) because of his extraordinary achievements in art. 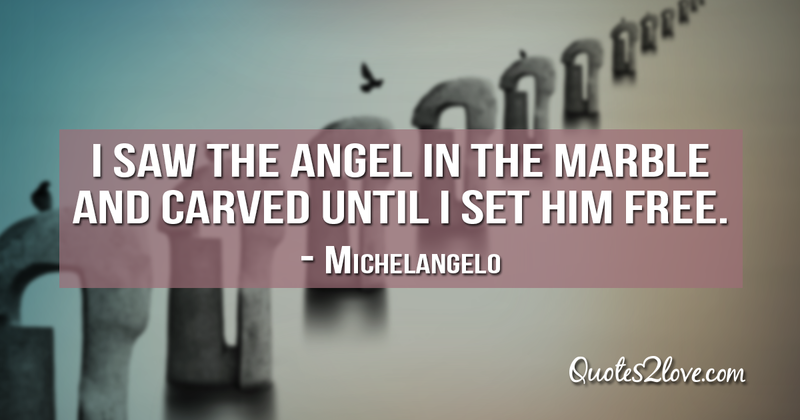 Celebrated as one of the greatest geniuses who ever lived (Italians just adored Michelangelo), he had an outstanding career that lasted over 70 years. Unlike so many his contemporaries, he achieved great fame and wealth and was the first Western artist whose biography was published while he was still alive. (That’s why we know more about Michelangelo, his life and work, passions and opinions than about any other artist of his time.) In fact, he was so rich, some suggest he was the wealthiest artist of his time, that when he died, he left an estate worth 50,000 florins. And that’s about $50 million in today’s money. That’s no surprise because his admirers and patrons were kings and nine different popes. He crafted several masterpieces including the “David”, the “Pietà”, frescoes on the ceiling of the Sistine Chapel, the dome for St. Peter’s Basilica, to name just a few. He was such a talent that he had sculpted “David” before the age of thirty – he used the gigantic block of marble, that no other sculptor wanted to work with, that had been quarried and then abandoned for over 40 years before Michelangelo claimed it. “Every block of stone has a statue inside it and it is the task of the sculptor to discover it,” he once said and after four years of hard labor liberated magnificent David from this giant rock. Devoted to God and profoundly religious, unpredictable and brilliant, sharp-tongued and vengeful, Michelangelo was also a prolific poet – throughout his life, he wrote more than 300 poems where he talked about everything from love, lust, spirituality, and loyalty to aging and his overactive bladder. Although none of these poems were published in his day, they circulated widely among Rome’s 16th-century intellectuals. He disliked Leonardo da Vinci and vice versa, never married or had children (but is rumored to have had love affairs with men and women alike), rarely bathed or changed his clothes, lived in squalor despite being rich and in his old age he lived almost as a hermit avoiding all contact with others except when it came to his work. 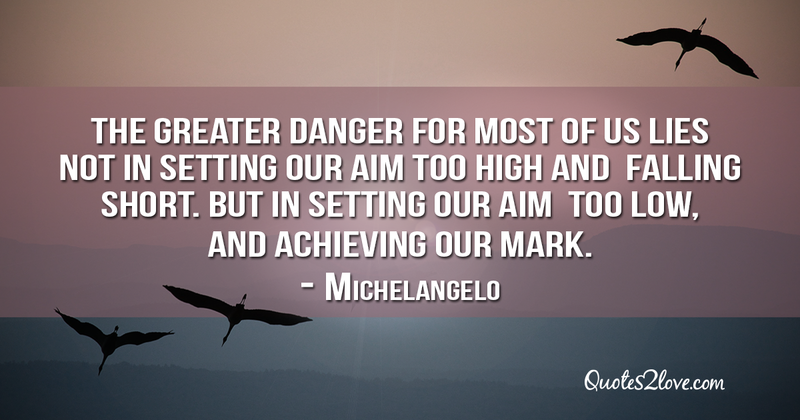 Michelangelo is to this very day considered as one of the most influential artists in history and people all around the world can’t get enough of his extraordinary art and cool words of wisdom. 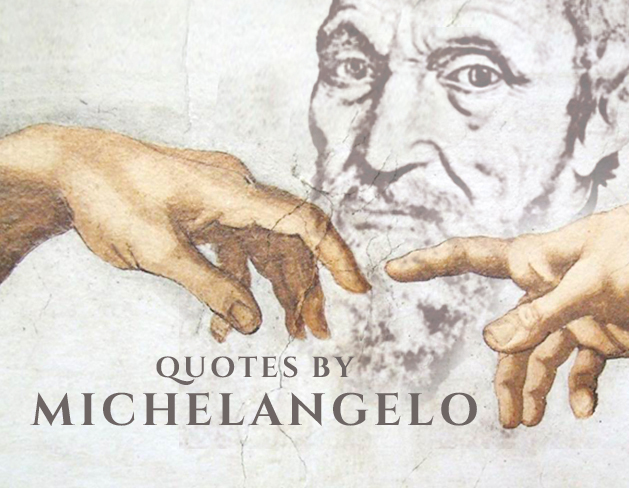 That’s why we’ve collected 5 of Michelangelo’s most brilliant quotes that also stood the test of time and are highly inspirational. 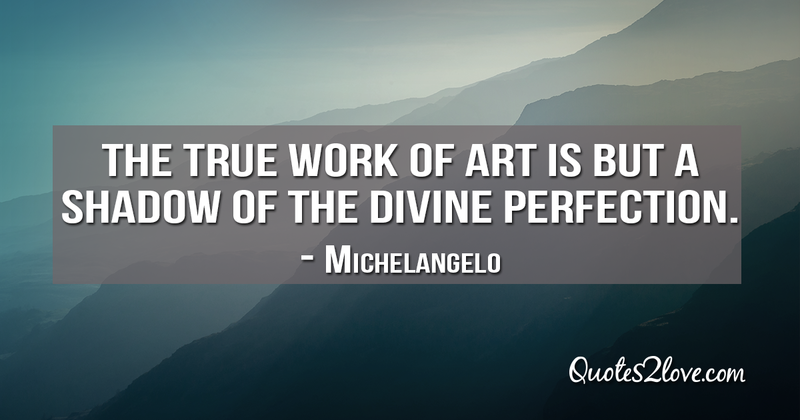 If you liked Michelangelo’s quotes and words of wisdom, you might also love best quotes by distinguished artists such as Pablo Picasso and Henri de Toulouse-Lautrec. Never stop exploring!